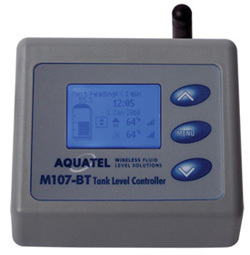 ​Aquatel M107-BT Wireless Pump Control system with remote fluid level monitor is a very effective wireless system to automatically or manually control fluid levels in just about any shape or size tank/cistern. 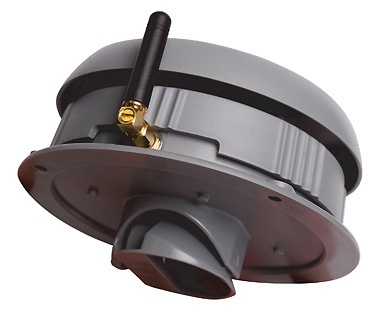 The M107-BT system comes complete with everything needed to remotely fill or drain your tank or cistern up to 300m/984 feet away or using Aquatel's AQ920-7 Booster Antenna kit (both ends), up to 10km/6 miles away. Aquatel's proven tank sender technology, provides more than 100,000 level updates from a single set of Energiser Ultimate Lithium AA Batteries, thats up to 3 years (5y for D110 model) (when set on a 30 minute update interval), interval can be set anything from 1 to 30 minutes. The Display Unit setup menu is so easy to navigate that within minutes you will be able to set high and low level alarms, filling or draining fluid level, pump cut-in and cut-off points, set irrigation timer and manually switch on or off your pump/valve. Once levels have been set, the M107-BT will automatically monitor and maintain those fluid levels, so you can relax. Or when in Timer Mode, switch on and off your irrigation pump at the set times/days while at the same time monitor the supply tank to ensure your irrigation pump never runs dry. For your convenience the unit has a digital clock and displays the current indoor and outdoor temperatures. This unit will even tell you when to replace the batteries. The Aquatel M107-BT is suitable for tanks from 1 metre (3.28 feet) to 4 metres (13.12 feet) in depth. It's so easy to install and setup, your electrician will have it up and running in no time, saving you time and money. The Aquatel M107-BT meets AS/NZS 4268:2003 + 1:2005 Standard, European EN 300 220-1 ROHS Standards & FCC. "Aquatel" is a registered Trademark No.745630 with global Patents. The Tank Unit is mounted on the top surface of the tank and uses ultrasonic signals to detect the fluid level inside. This is then wirelessly transmitted through the Control Unit and onto the Display Unit. The Display Unit displays the fluid level and system status on the LCD screen. The Display Unit is also used for setting the system settings such as level thresholds. 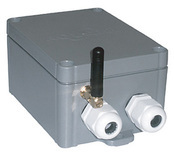 This is sent back to the Control Unit to switch the pump or valve on and off depending on the tank level. This bundle kit is for all applications where there is elevation or distances greater than 300m between the pump station and tank site. Email our sales team here, to find out more.